My interest in South Asia, and specifically Pakistan, started when I finished my degree in Islamic studies in Madrid. It was not easy to pursue South Asian studies as a Spanish scholar; unlike other European countries such as the UK, Spain still does not have a university department for this area. I moved to India for PhD research for two years (2001-2002) when 9/11 clearly marked a change. Islam came to the forefront of international academic and non-academic interests, often for the wrong reasons. When I returned from India, I observed that my friends in Barcelona often talked about the increasing presence of Pakistanis and other people of South Asian origin in the city. To the delight of the British nationals in town and other more adventurous citizens, the proliferation of curry houses was a reason to celebrate the formerly less diverse culinary scene. It was clear that the Pakistani community in Barcelona had become a talking point. Their presence was unavoidable, particularly after the prayers on Fridays. And nowhere were they more visible than in the neighbourhood of El Raval. Many wondered where these men were from, why they dressed like that (shalwar kameez), and why they were seldom accompanied by their womenfolk. In 2008, Casa Asia, an institution of the Spanish Ministry of Foreign Affairs that promotes knowledge of Asia in Spain, awarded me a grant. My project was to conduct a piece of research that would be called Atlas of Pakistani Migration in Spain. I took this opportunity to visit Pakistan and travel around Spain to go to the different places where Pakistanis had settled. More than half of all Pakistanis in Spain lived in Catalonia, especially Barcelona, which is why I moved there in the summer of 2008. Compared with other European countries, Spain has not always been a country of immigrants. Pakistanis, for example, have traditionally preferred to migrate to the UK, USA, Canada, and the Gulf because of the better economic prospects in those nations. Spain has a population of approximately 46.5 million, of which 9.5% are foreigners. The main foreign nationalities represented in the country are Romanians, Moroccans, British, Italians and Chinese. Pakistanis are 1.2% of all foreigners and barely 0.1% of the population in Spain. How have they managed, then, to attract so much attention? One of the explanations can be found in their local concentration, in terms of both origin and destination. Gujratis make up 44% of all Pakistanis in Spain, while in other destinations in the European Union, they are about 11%. As for destination, more than half of all Pakistanis in Spain are in Barcelona. At their peak, in 2012, there were about 68,000 Pakistanis in Spain, although the Spanish Institute of Statistics only accounts for those legally resident. Several thousand others are thought to have resided there illegally. The first Pakistanis to arrive in the country were a group of about 300 Gujratis who migrated from other European countries in the 1970s and landed initially in Barcelona. Some of the migrants had experience working in mines elsewhere in Europe and Pakistan; some had lost their jobs in factories or mines in the UK where the industrial crisis had begun; others had working experience in oil refineries in Libya. Those were the last days of Franco’s dictatorship and Spain’s industrial labour market was small. Some migrants opened shops and boarding houses; others looked for jobs in industry or manufacturing. 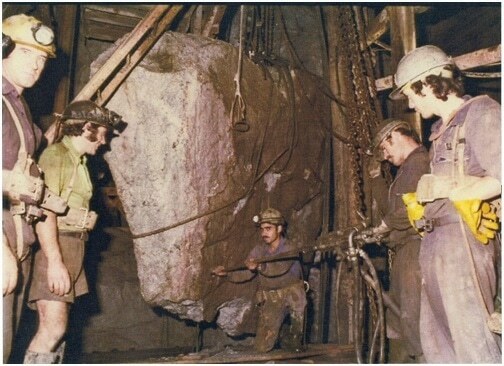 Those who had no previous experience in mining had to learn from scratch. The main mines where they began to work were El Bierzo (coal) and Linares (lead), and others in La Rioja and Teruel. Most of the Pakistani newcomers were men between 20 and 28 years old from Gujrat, predominantly from the village of Puran. Map of origins of Pakistanis in Spain. 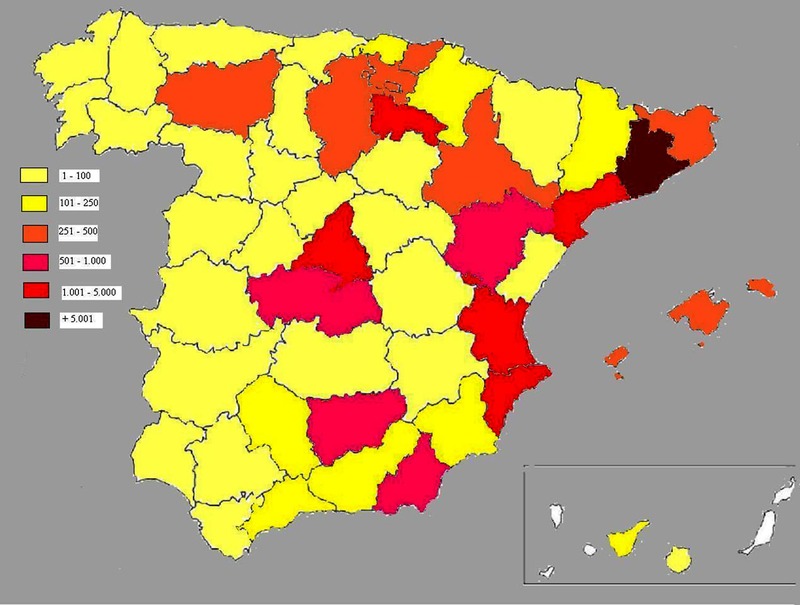 Source: Spanish Institute of Statistics, 2008. Map of destinations of Pakistanis in Spain. Source: Spanish Institute of Statistics, 2008. They are known among the wider Pakistani community in Spain as los pioneros (The Pioneers), being the first to venture into the Spanish labour market. Many were surprised to find that people in Spain hardly spoke any English and that they had to learn Spanish if they were to be understood by the locals. Not surprisingly, traditional Pakistani codes were misinterpreted. The shalwar kameez attracted unexpected attention in the villages near the mines, with many old ladies believing that the men were wearing dresses. While it was acceptable for Spanish couples to walk hand in hand, Pakistani men doing the same was misunderstood as homosexuality. Blas, a teacher at a high school in Linares, told me that as a child their only entertainment was playing in the streets. Most of these Pioneers worked for about 15 or 20 years. The majority had to retire due to work-related illnesses, mainly respiratory ones such as silicosis. They usually worked as drillers and explosive experts and did the night shifts. There was a death in a mine in June 1977 of a Pakistani worker named Abdul Razaq. 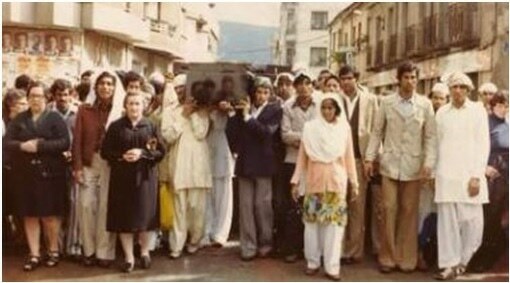 The whole village of Bembibre joined the funerary court and the company helped send his body back to Pakistan. In those early years, the economic situation was better. Spain had just joined the EU (in 1986). Job opportunities increased and the welfare state was at its most supportive. Some of those who had secured their retirement pensions travelled back to Pakistan and spread the idea that Spain was a land of opportunity. As proof of it, they had their big houses to show off. But at the same time, these migrants were exponents of a myth that others could not fulfil. 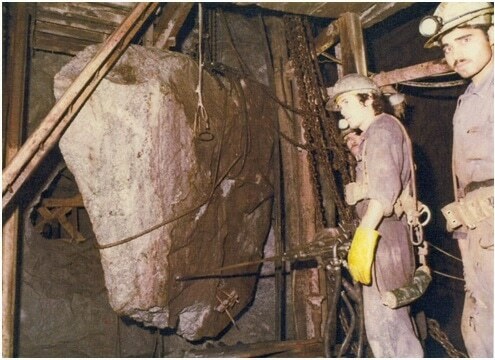 When the mines started closing in the 1980s and 1990s, many lost their jobs and had to change occupations or moved to different towns. The main question everyone asks is why most Pakistanis are concentrated in Barcelona. To begin with, while the first wave of Pakistani migrants largely worked in mines and industry in other parts of Spain, the next generation of migrants preferred cities as they offered job opportunities in occupations that Pakistanis have become specialised in: the services sector and self-employment. We must also consider the fact that Barcelona has a more buoyant economy than other Spanish cities. Furthermore, the kinship networks developed by the migrants themselves provide an important degree of social security for the newcomers. The migrants, typically men, would bring over their brothers, then their cousins and uncles. After establishing themselves, it would be the turn of wives and children. El Raval was the main point of arrival for most of the Pakistani migrants and it was here where their initial experience in Barcelona took place. Formerly known as El Barrio Chino (Chinese quarter), El Raval was at that time a tough working-class neighbourhood where drug trafficking and prostitution were rife, turning it into a no-go zone for locals and tourists. 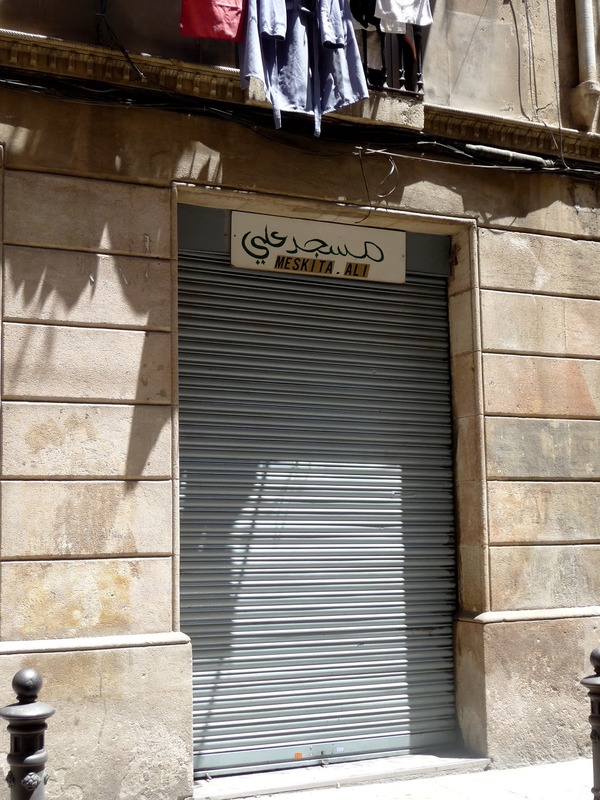 When Pakistanis arrived, they were attracted by El Raval’s central location, low rents and affordable business premises, where shops and restaurants could be established. Some more adventurous entrepreneurs bought flats there. The flow of immigrants turned El Raval into one of the most international neighbourhoods in Barcelona. The primary and secondary education institute Miquel Tarradell is proof of this. I used to live just across the street and loved to see from the balcony how Pakistani, Moroccan, Senegalese, Latin American and Catalan parents, all with their different attires and languages, would drop their kids off. Pakistani kids would arrive speaking Punjabi to their parents, only to instantly switch to Catalan or Spanish at the school gates. When Barcelona staged the 1992 Olympics, El Raval became a tourist hot spot, even more so with the economic boom of the early 2000s. Like most neighbourhoods in the city, El Raval also became increasingly gentrified. 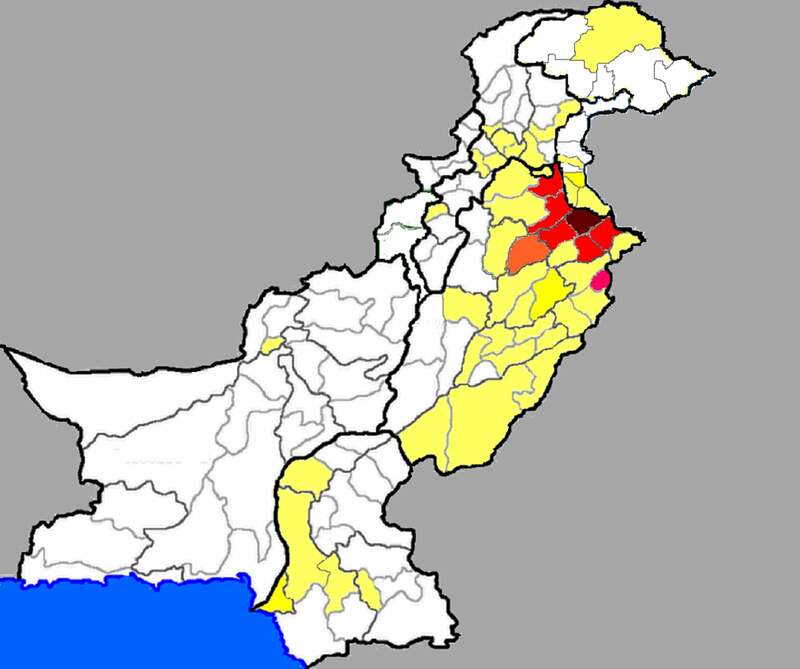 The area’s Pakistani population has decreased over the years. Many have remained in Barcelona but have taken their families to other locations. Some Pakistanis I talked to mention that they like their new neighbourhoods and prefer their children to grow up here, but they miss the feeling of proximity and neighbourliness they had while in El Raval. Many can still be seen on the Rambla del Raval boulevard, where they meet on Fridays after prayer at the nearby mosque run by the Minhaj-ul Quran association, the one with the biggest attendance in Barcelona. The religious and cultural associations are the main means through which the diaspora organises and presents itself to the local government. These organisations help Pakistanis find their way through life, get guidance regarding bureaucratic formalities, and assist them with Spanish and Catalan language classes. The vast majority of the Pakistani associations are religious in nature and are anxious to be seen as legitimately representing the whole community. Survival of an association depends not only on the total number of its members but also on grants available from the local government, whose demands have to be complied with. In Barcelona, these demands include speaking Catalan and expressing support for the region’s agitation for greater autonomy or even independence. Pro-autonomy or pro-independence parties often see these associations as a useful source of votes and a means by which to spread their ideologies in the Pakistani community. Although local politics is a topic of discussion at association meetings, members are mainly concerned with matters back home. Pakistanis have their radio (Pakcelona), TV (Dia Tv online) and newspaper (Naqash online). Here they've announced an event to celebrate independence. There are taboos that locals know cannot be discussed openly with Pakistani acquaintances. One is religion; another is the low visibility of women in public life; the last is the exploitation and abuse that occurs by some members in the Pakistani community towards the newly-arrived migrants from Pakistan. Knowledge about Pakistan among the Spanish population is rather limited but it would be true to say that the country has had a very bad press. Interest is often limited to the presence of Pakistanis in Barcelona. The academic world in Spain has paid the country scant attention; when it has done so, it’s only in the context of immigration. The press is seemingly obsessed with Pakistan’s role in the War on Terror. 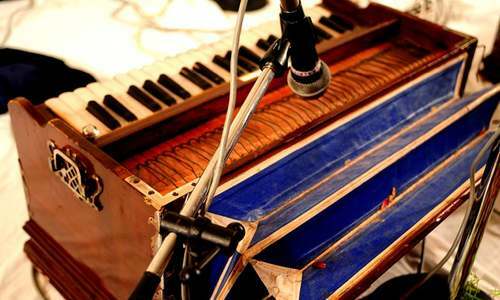 Some of the Pakistani associations have worked to change the stereotypes, but it has proved to be a difficult task. However, there is a growing interest in Pakistani culture, albeit mainly in its English language manifestation (literature, cinema, music). 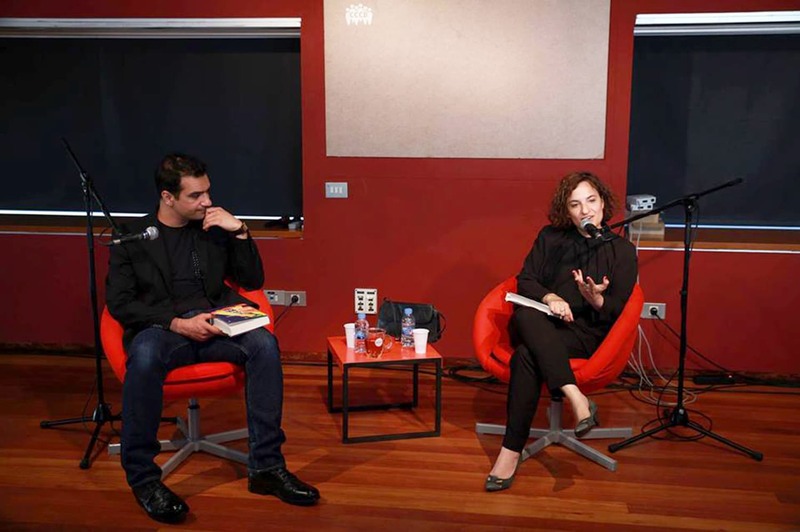 Writers such as Nadeem Aslam, Mohsin Hamid, Mohammed Hanif, Kamila Shamsie or Bapsi Sidwa have been translated into Spanish, thereby creating an impression far more positive than that given by the press. Some of these authors have also visited the city and presented their work at different cultural centres. From 2000 onwards, Pakistani women started to arrive in Barcelona, although in lower numbers than the menfolk. 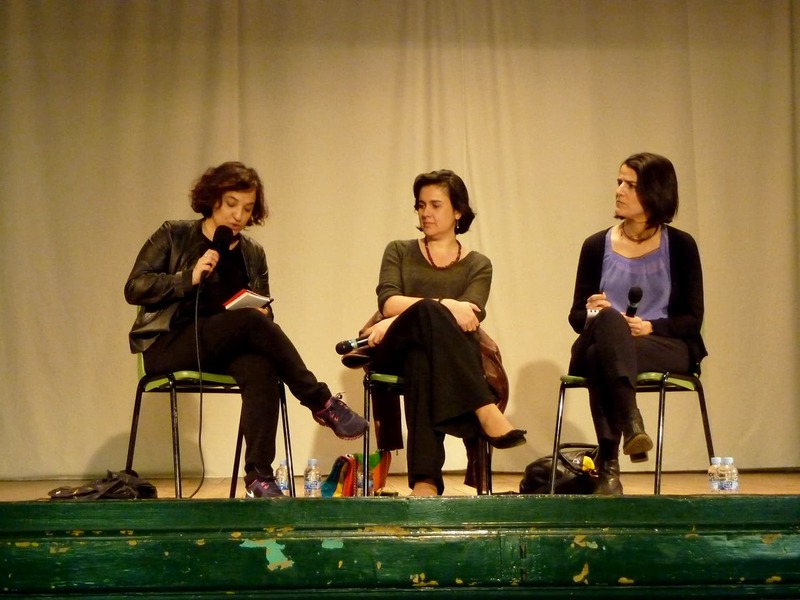 It is very striking to the Spanish eye to see the lack of participation of women in general. Women from other migrant communities are out and about, taking part in all sorts of activities, and in many cases, acting as pioneers in the migrant experience. ######Even those from other Muslim countries like Morocco participate more actively than their Pakistani coreligionists. This is no doubt the most controversial aspect when we deal with the Pakistani community in Spain. Although many associations tend to organise family events, women participate in these in the traditional roles of mothers and homemakers, and account for less than 1% of those attending. Some of the women have told me they had more freedom back in Pakistan, where they could visit relatives within their village, go shopping and roam relatively freely. Pakistani men in Barcelona usually explain that they will not allow their women to become ‘contaminated’ by local norms of behaviour. This vision is very pronounced in the case of daughters reaching puberty. Under Spanish law, it is compulsory for all children to study until they are 16 years old. Some schools, however, complain that Pakistani girls sometimes disappear from their classes when they reach the age of 14 or 15. This is a great shame as most teachers agree that Pakistani girls are usually among the best students. Starting in 2002 and 2003, there have been rumours that legal settlement is available more easily in Spain than anywhere else in Europe. 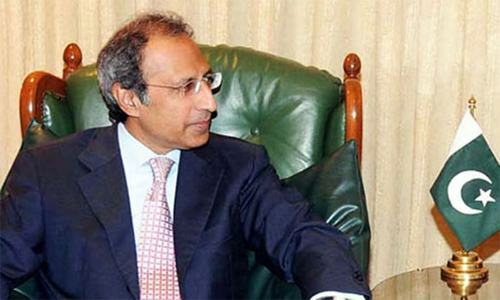 Some greedy elements among the Pakistani community have taken the chance to profit from the arrival of their compatriots from different countries in the EU seeking such settlement. Compatriots with few qualms deceive the new migrants, charging them high rents for a bed in a shared room, a bed sometimes used only for a few hours. In the first phases of the migration experience, newcomers minimise costs in order to save money to send back home and pay back the fees to those who brought them to Spain. They are forced to accept long shifts in corner shops or any other odd jobs (12-14 hours) for a meagre €300-400 a month (if they are paid at all) while they are made to pay at least €100 per month for their beds. One of those newcomers told me in 2009 that the owner of the flat where he lived, another Pakistani, took away his passport and made him stay indoors for weeks at a time. The owner would do the shopping for the tenants and then make even more money by charging them exorbitant prices for it. He and a friend, a fellow exploited flatmate, managed to leave, something that was only possible with the help of an NGO. A great number of well-off Pakistanis have found a lucrative business in the exploitation of vulnerable compatriots, many of whom are family members or neighbours from back home. In such a close-knit community with tight social control, it can be very difficult for those caught up to break the circle of abuse. Everything they do will be made known and the price of dissent is ostracism. As is the case in the rest of southern Europe, austerity measures have badly affected the welfare state and the job market in Spain. Decreasing salaries and growing living costs paint a bleak future. Some immigrant communities have decided to leave Spain and go back home. Others are moving elsewhere in Europe. Pakistanis are part of Barcelona but it remains to be seen how the younger generations will respond to the new challenges. Nonetheless, they fare better than other nationals: they are known to be resilient and their extensive, worldwide kinship network allows them a great deal of mobility. Ana Ballesteros has a PhD in Islamic Studies from the Autonomous University of Madrid with expertise in South Asia. She is the author of "Pakistán" (Published by Síntesis), the first monograph on Pakistan in Spanish. Very insightful write up, not only well acquainted but also researched! Well written article. Detailed and informative and not afraid to mention taboo topics. I have heard seen stories in all other parts of world where Pakistanis exploit other Pakistanis due to less knowledge of culture and law in those countries. But now "New Generation" make some sort of Norms with other Pakistanis, specially where Money evolved, they prefer other nationals. This may be due to easy access to information and internet access. All in above one thing remain that Pakistanis do, in any part of the world, their friends/gathering remains within Pakistani community. The article is full of wisdom for Pakistanis anxious to go abroad and specially for the Gujarat people. It will be more beneficial if it is in Urdu. I think Dawn will not mind if any Sindhi, Balochi, Punjabi and Pashtu paper will reproduce it. And they must do it. Author missed one main angle: All of immigrants were low educated and helped others to settle as well by shortcuts. Second they tried to impose their own Pakistani culture. Still they are not ready to settle metally in spain/EU thats why they dont try to adopt spanish/EU culture and good education neither they are interested to progress effectivly like other immigrants. Forget about women , they are like slaves in hitech society. Its all about quilty mindset of immigrants living europe. Charging heavy rents and keeping passport of fellow Pakistanis. Sad to read about exploitation. Vow !! I am a Pakistani American. I enjoyed the article and read through it from end to end relating to quite a few of the immigrant experiences. About to forward the article to some of my Spaniard friends. Thanks ! Main point is that Spanish people accept them! very well written. Facts based article. Good Job Ana! Needs to some differentiation of people from Gujrat and those from the Indian state of Gujarat,, otherwise gets confusing. Excellent report on Pakistanis living in Barcelona. Your article is absolutely worth reading. I appreciate your concern for writing remarkably on Pakistanis living in Spain and particularity in Barcelona. Yes, Pakistanis could be different from Spaniards in terms of many things but one of the most outstanding factor of most Pakistanis is that they are hospitable and indefatigable. Really informative and well researched. It can be said that Pakistanis are daring specially people from Gujarat .We hope that one day they will return to Pakistan full if opportunities. Many of my Pakistanis and Indians along with other desis are suffering and living some pathetic conditions abroad all due to political incompetent leaders we have in IndoPak who have kept us in a third world countries list, where people don't have basic necessities of life. I pray for the day when IndoPak stop spending billions on weapons and insurgencies in our families land of IndoPak. We are not hurting anyone but ourselves when we push negative remarks in our minds and act on them by forget love energy and family bonds of IndoPak. Million of my IndoPak people are living abroad because of our substandard hate mongers leaders who we must reject to bring back our family home, who are in a tough spot after all there is no place our dharti maa of IndoPak to which we all belong. Nothing like eating our rotis, dosas, lassis, naan, daal with chai paani in our back yard where our ancestors lived for as along as human history exists. Thx Ana for the insight. Although it is a good artical but in few areas , writter have very limted information about pakistanies. Overall its good artical. I was in Spain in 2015 ,, and i was so excited to see a pakistani restaurant not far from LA SAGRADA FAMILIA church, i felt like i ma home ,, its always nice to see countrymen and food when you far away from home. This is fascinating. Would love to read more of the writer's work on this subject. The Catalans/Spaniards do not want to mine coal and lead themselves. Lead leads to permanent mental retardation and many problems. "Contaminated by local norms of behaviour". If this is the feeling, they should go back to Pakistan.This is exactly the kind of attitude which give rise to anti-immigration right wing groups in Europe. What the author should also have emphasized is that the Pakistanis staying in a western nation should try to assimilate with the local culture. Nice article. 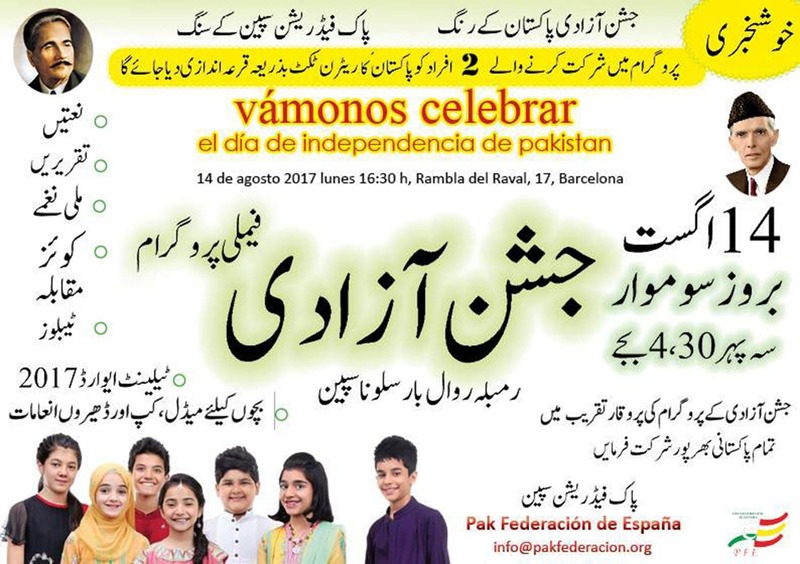 I live in Toronto and did not know anything about Pakistanis in Spain. One small thing that I would like to point out is that the district of Punjab in Pakistan is spelled 'Gujrat', while Gujarat is the spelling of a province in India. The Pakistani immigrants in Barcelona seem to be labour class and not well educated. Education is the key to advancement. Author has forgot to mention about those Pakistanis who sell selfie stick, umbrellas And key chains on streets of Barcelona specially in placa catalynya and la Rambla. These Pakistanis have tentered Europe illegally via Baluchistan, Iran, Turkey, Greece, Hungary and ultimately ended up on steers of Barcelona. I encountered many of these illegal immigrants while I was visiting Barcelona year back. Was expecting a mention of the Pakistanis working on the Barcelona beach selling beer to tourists and people out at night. Lot more Pakistanis in Barcelona than Madrid. Just one thing its Gujratis rather then Gujaratis, the latter is an Indian of much different heritage. Excellent read. Well done Ana. Very interesting information - thanks Ana Ballesteros and Dawn for publishing this peice ! Very well written. Being from Gujrat and having so many cousins in Spain and other Western countries, it's painful to see my most beloved ones slowly turning into just acquaintance and their next generations going off the radar completely. God bless all our dear ones. I have been to Spain both for hollyday and for business several times. The Pakistanis I met in Barcelona were pretty happy people, some walking freely in shalwar kameez with their families near the beach. The noticed the last part "worldwide kinship network": which I my self have had the opportunity to use in my travels having relatives and friends from Gujrat living in America, Canada, UK, Belgium, France, the Gulf, Norway and so on. Very interesting article, but i have been living in Spain Madrid for the last 31 years and do know that there are lots of Pakistanis in Madrid. One of the reason they tend to stick together is the language. This is a brilliantly insightful article. I wish there were more like this. @Farouq Omaro: Absolutely spot on, everything beyond their beliefs and culture is considered ‘contamination’. These people should never really leave their homelands. 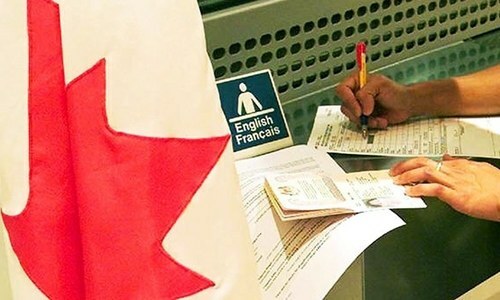 One ignored type-of-immigrants are Pakistani students studying there. Are they well adapted in the Spanish universities? Are they any different from the Pakistani-business community in Barcelona? What is the opinion of their teachers or supervisors (for research scholars) regarding their productivity? Do they prefer to pursue a career in Spain or they want to move forward to other countries or back to Pakistan? Ana, what a wonderful article. Every time I visit Barcelona, I wonder about the history of Pakistani migrants in the city. It was a pleasure to see your research. @Imtiaz Ali Khan "Many of my Pakistanis and Indians along with other desis are suffering and living some pathetic conditions abroad " Noble sentiments of a shared desi brotherhood. But is the Pakistani experience abroad and the perception of all others toward the Pakistani diaspora the same as toward the Indians? We may all be desis, but much more differently viewed today in the eyes of the world than ever before. Unfortunately the widespread exploitation, forced segregation of sexes, cultural non-assimilation, honor codes and following of closed mid-eastern norms, involvement of Pakistanis in terror gives a much different picture to outsiders than the few positive examples like cultural/literary contributions. Indians never suffer from those issues as they seem to be readily adaptable in spite of not actually assimilating. very detailed and well written article litterly coverd everything. I am the nephew of the miner Abdul Razaq who died in mine.. Thank you for bringing the memories back .. Many people from Gujrat are in Europe thanks to massive bribes given to immigration/custom/FIA officials! The author covered mostly laborers from Gujrat; there is another group of Pakistanis in Spain: the educated ones in the universities! She should write about them too! A very interesting article very well presented by the author. @ADBUX AND why do you think that is? It is not like the government is in the business of creating jobs. @Imtiaz Ali Khan . I am sure you are referring to the pathetic conditions South Asians live in ME countries. It is not so for Indians in most other countries as very few of them are economic migrants are legal in the countries they migrate. Also they tend to mix with local cultures much more than our neighbors. Hope Pakistanis too learn to blend in the society they live in. Great insight on the origins to present day Pakistani community in Spain. Very informative and well researched! Thanks for sharing! A good and very informative article. What a fascinating read. I always did wonder why there were so many Pakistanis on Las Rambla. Thank you Ana for your research and and a well written article. I live in a small town in UK since 1970s, arriving from Rawalpindi at the age of 10. I went to school, college and then university here in UK and went on to some exciting job opportunities world wide. In recent years, I have noticed considerable demographic changes in UK. One of the main immigrant communities arriving in UK are Spanish and Italian Pakistani families arriving. In my street alone there are now 5 or 6 large families who arrived from Barcelona. Needless to say the millions of eastern europeans also came into UK in the last 10 to 15 years. This has created immense pressure on public services (i.e. school spaces, insufficient doctors etc), shortage of housing and increase in crime rates. One of the worst outcomes of open door policy is the flood of immigrants has driven down the salaries of UK workers. The island is bursting at it's seams.